Do you know the thing I love most about running this little blog? The fact that it now takes me to new countries and new corners of the world that I would have never dreamt of going before it existed. The novelty of that will never wear off for me. 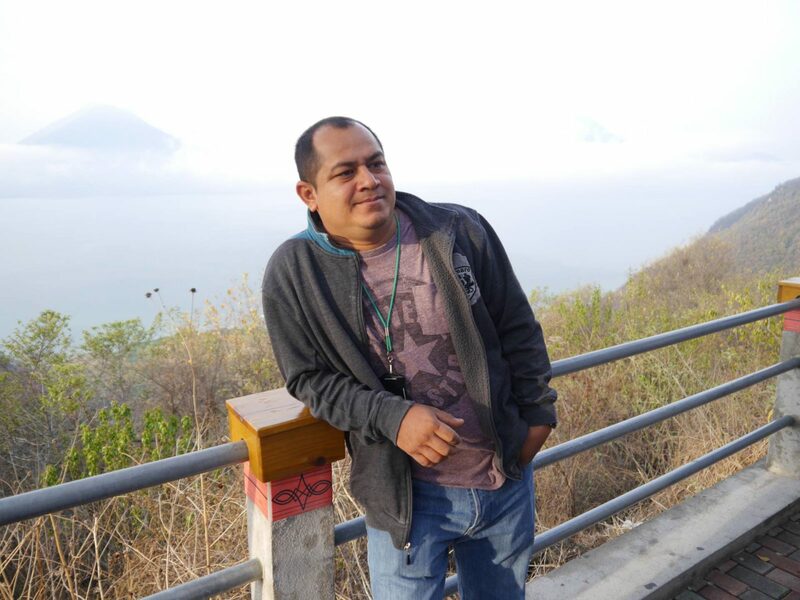 When the guys from Visit Central America got in touch to invite me on a blogger press trip to Guatemala and Belize, I had to re-read the email 3 times to believe it. I would get to go away with a fun group of fellow bloggers (Jen from She Gets Around, Scott from Intrepid Escape, Emily from Emily Luxton Travels and Fiona from Time2Gossip). To set the scene, Guatemala is a Central American country that borders Mexico, Belize, El Salvador and Honduras. It’s best known for its steep volcanos, vast rainforests and ancient Mayan ruins. 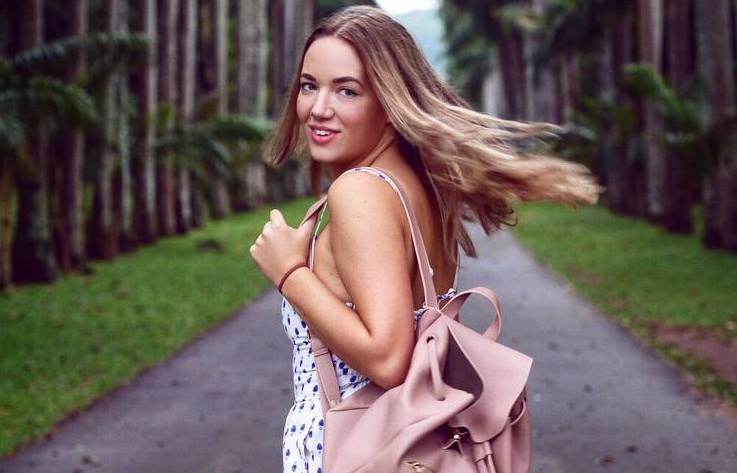 After doing a bit of research, it sounded like the perfect ingredients for a Travelista adventure, and boy did it deliver. We flew with United Airlines from London to Houston (9.5 hours) and then took a second flight from Houston to Guatemala City (2.5 hours). We were met at the airport by our fantastic tour guide Martin from Marstam Tours, who stayed with us for the whole time we were in Guatemala. 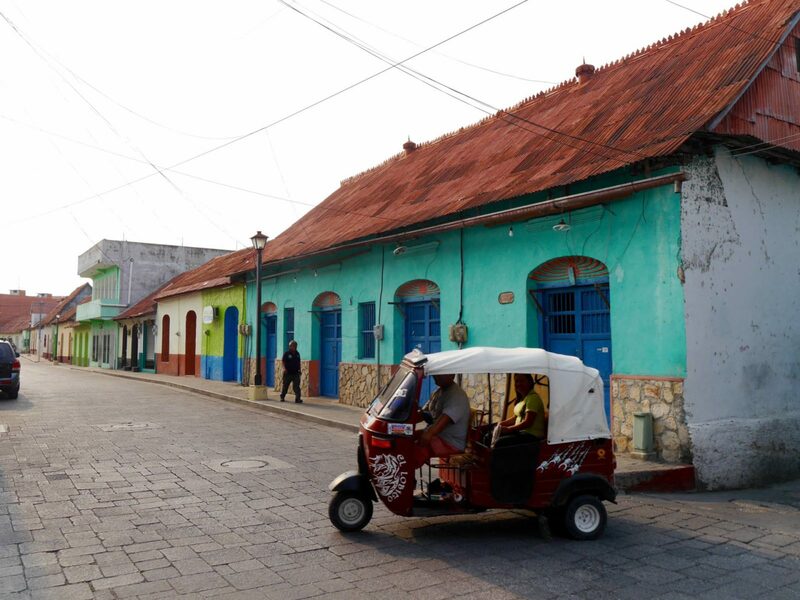 Apart from a few museums, Guatemala City doesn’t have all that much to offer in terms of tourism and sightseeing. 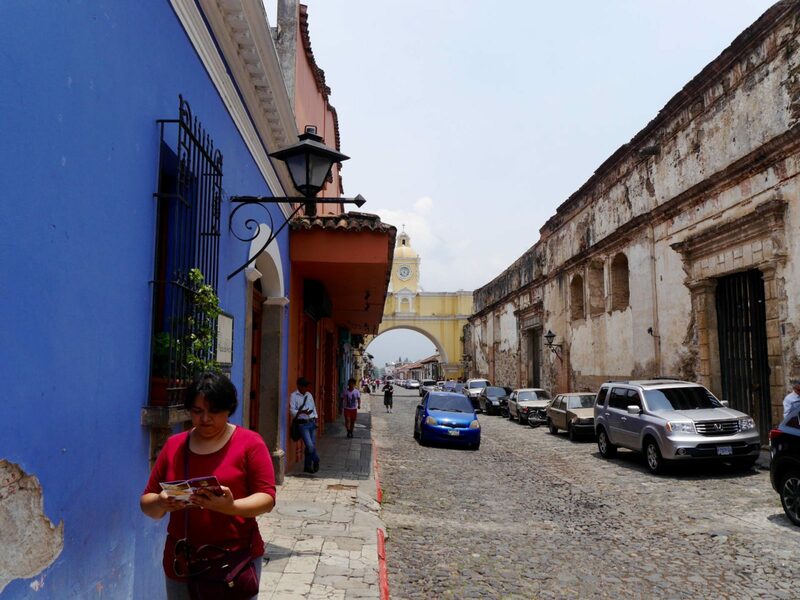 It’s also not the safest place to be in Guatemala, so we stayed overnight at the Raddisson Guatemala City and moved on straight away the next morning. 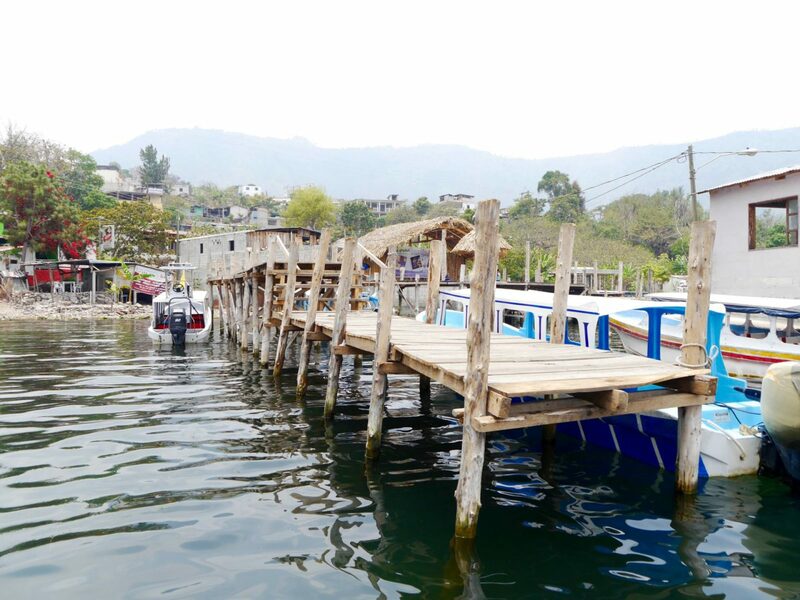 Our first destination of the trip was Lake Atitlan in the Guatemalan highlands, known for it’s colourful Mayan lakeside villages and water sport activities. 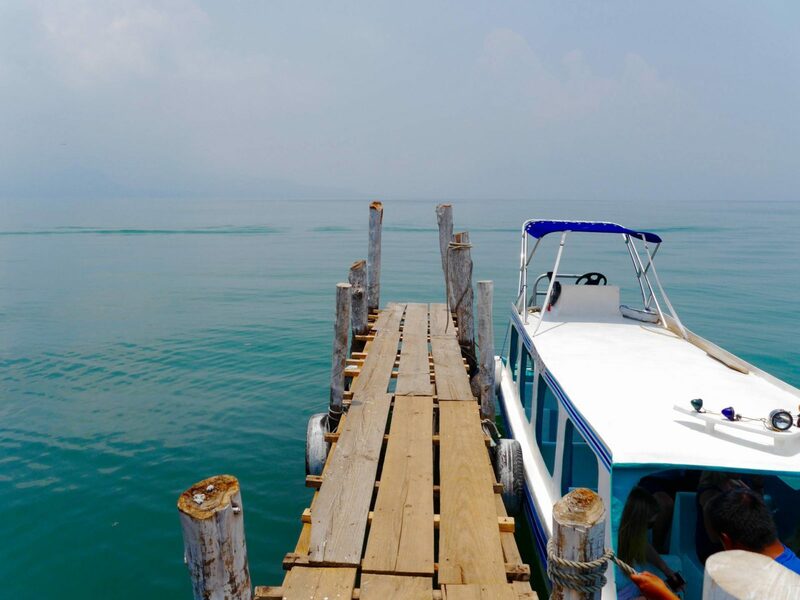 Lake Atitlan is the deepest lake in Central America and is framed by 3 imposing volcanoes. We all piled in the van ready for the 2.5 hour road trip and to take in a first glance of the sights, sounds and smells of Guatemala. The roads were bustling with cars, taxis, scooters and the famous Guatemalan chicken buses. So colourful and imposing you can’t miss them. The landscape gradually became more lush and mountainous as we made our way to Panajachel, a lively town on the banks of Lake Atitlan. From ‘Pana’, we caught a long boat across the river to the traditional town of San Juan La Laguna, where we had our first taste of freshly ground Guatemalan coffee. The weather was overcast and humid, so I went for an iced latte to cool down. So delicious! 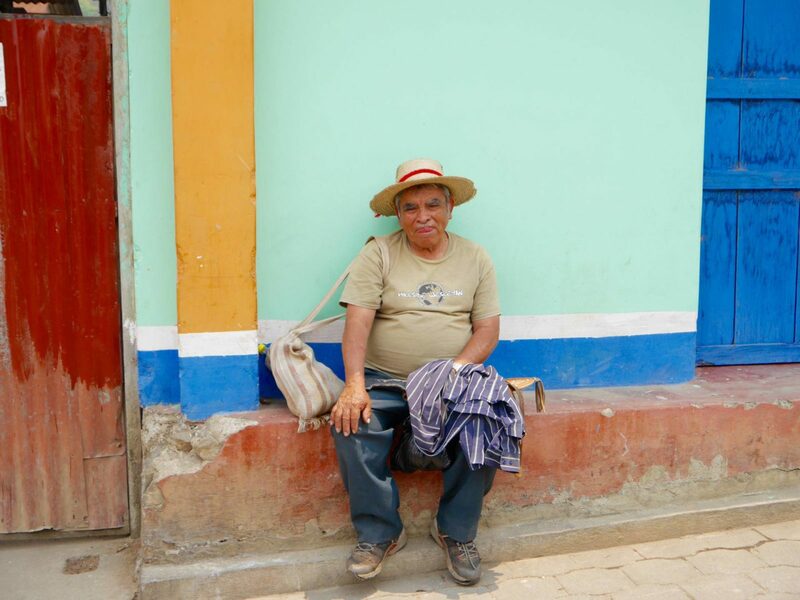 Melvin guided us through the town and took us to a cotton making cooperative called Casa Flor Ixaco, which had the most beautiful handmade trinkets, clothing and souvenirs. After exploring San Juan La Laguna we hopped back on to the long boat for lunch at Posada de Santiago near the town of Santiago Atitlan. 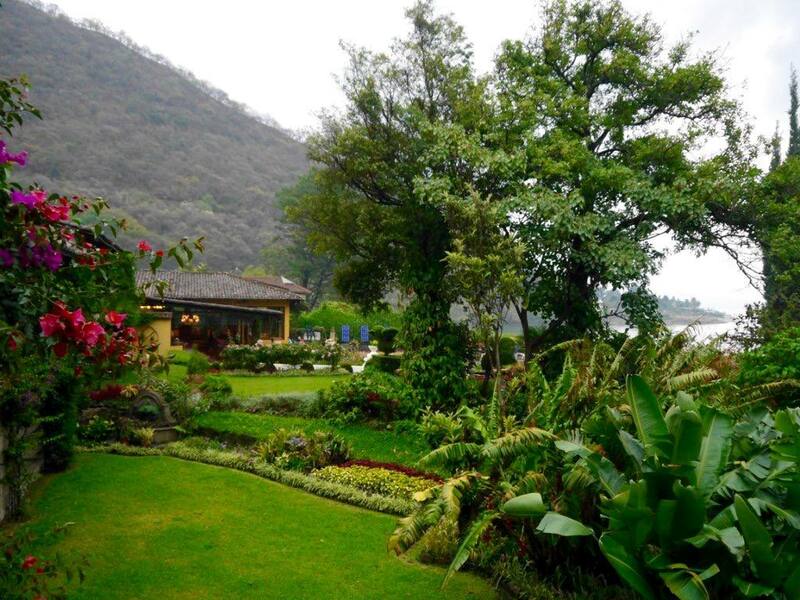 We spent the night at Hotel Atitlan, which was my favourite hotel of the entire trip. 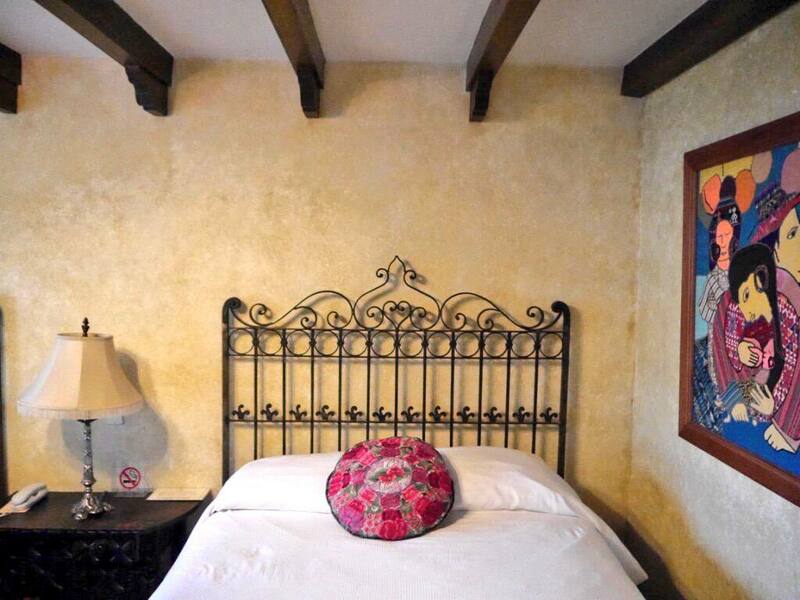 This charming boutique hotel is located right on the lake in a breathtaking location. With deep wood interiors, rustic furnishings and beautifully manicured gardens, it’s a lush boutique escape in the Guatemalan highlands. On the evening of our stay the heavens opened and we were caught in a tropical downpour, which only made the setting even more atmospheric. I couldn’t recommend this hotel enough. 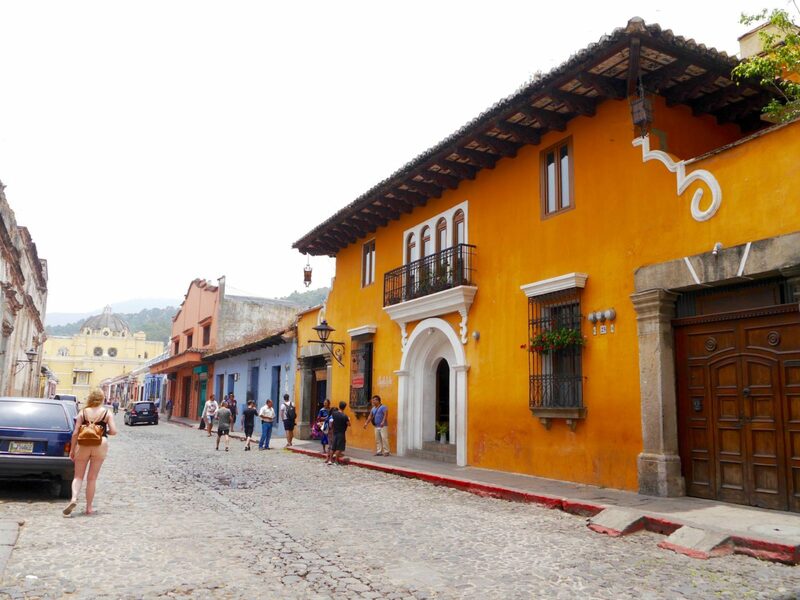 The next morning we drove from Lake Atitlan to Antigua, Guatemala’s most iconic, historic and touristic town. Antigua is actually the oldest town in the whole of the Americas and dates back to 1541. 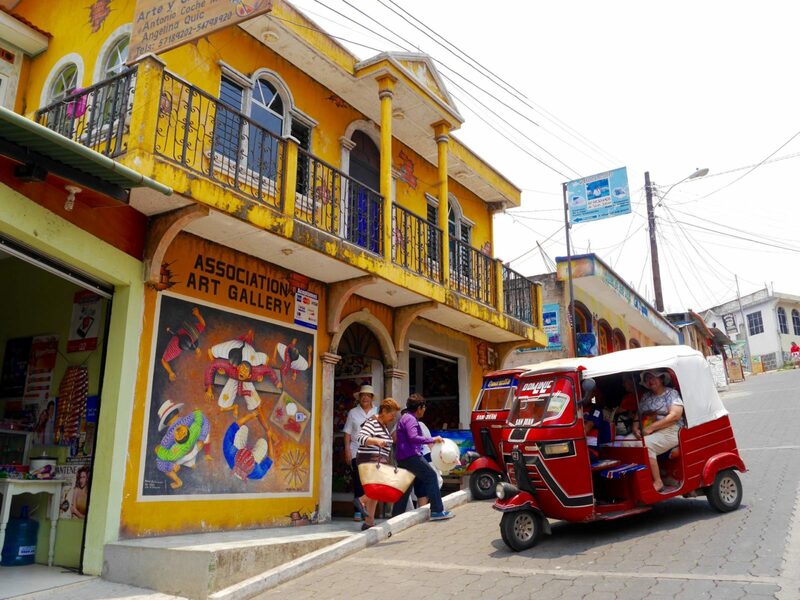 The colonial town has a fascinating history and is a buzzing fusion of Spanish and Mayan culture. 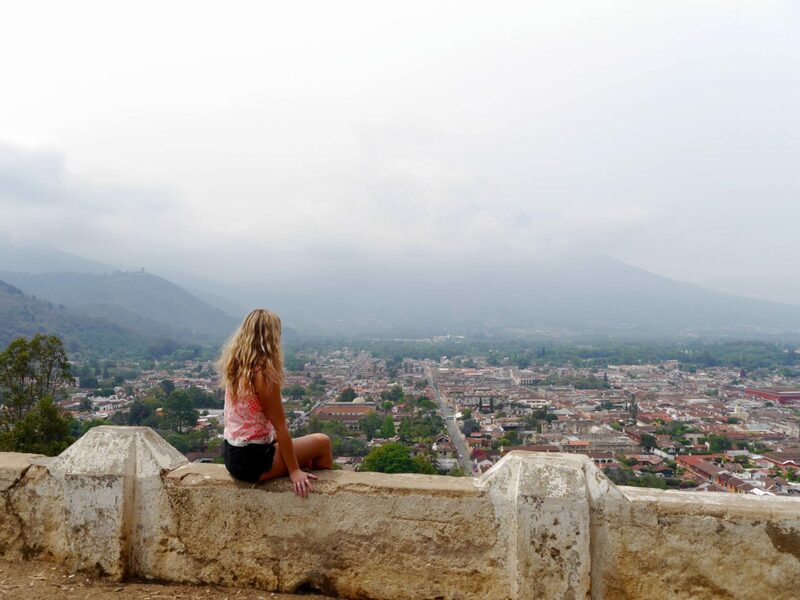 Antigua was definitely my favourite part of Guatemala and I would have loved a few more days to explore it. 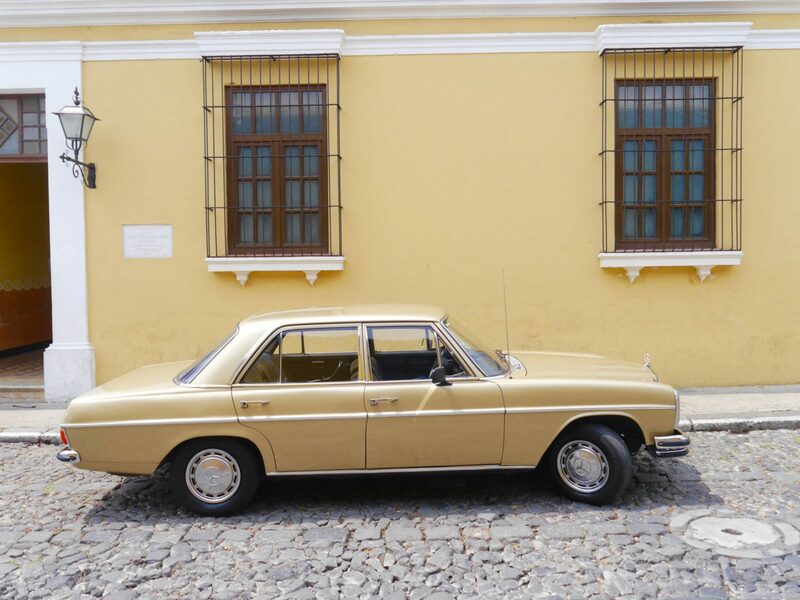 Even if you haven’t heard of it, you’d probably still recognise it, with its colourful pastel walls, cobbled streets and the famous yellow arch of Santa Catalina. 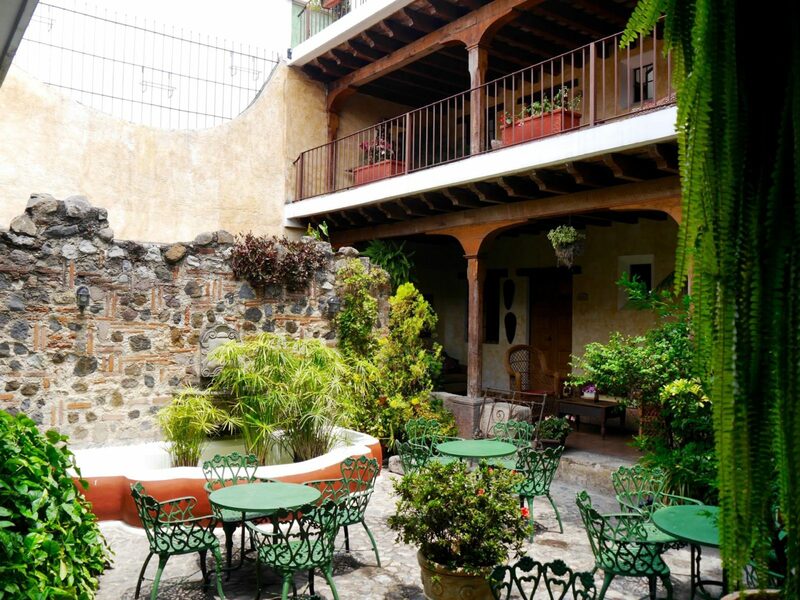 Our guesthouse, Hotel El Meson de Maria, was equally as charming as the town itself, which was located right around the block from the Santa Catalina Arch. The location was amazing, the rooms were characterful and the central outdoor courtyard and roof terrace made it a place you could really relax. 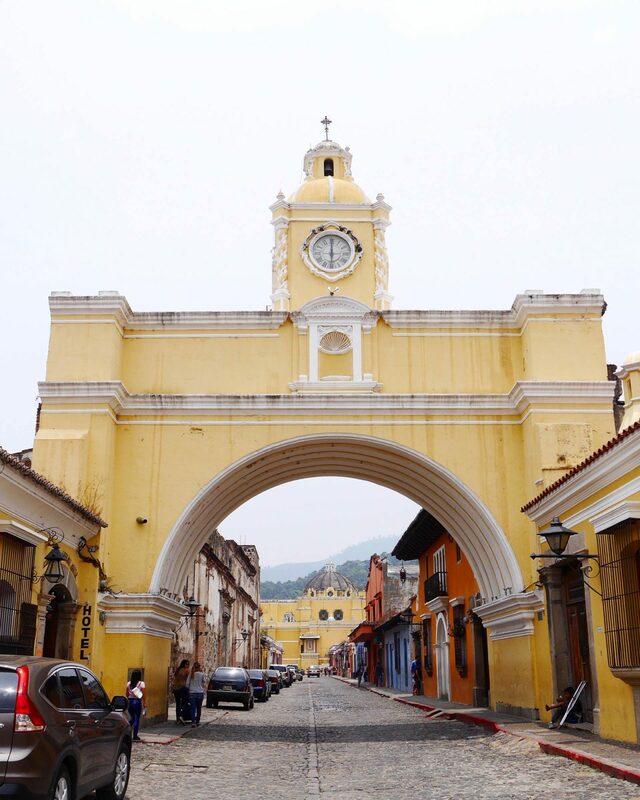 Look out for my City Guide to Antigua Guatemala coming to the blog soon! After spending the night in Antigua we drove back to Guatemala City to catch an internal flight to Mundo Maya International Airport in the north west of Guatemala. The airport is located a 15 minute drive from the popular backpacker destination of Flores, which was our next stop of the tour. 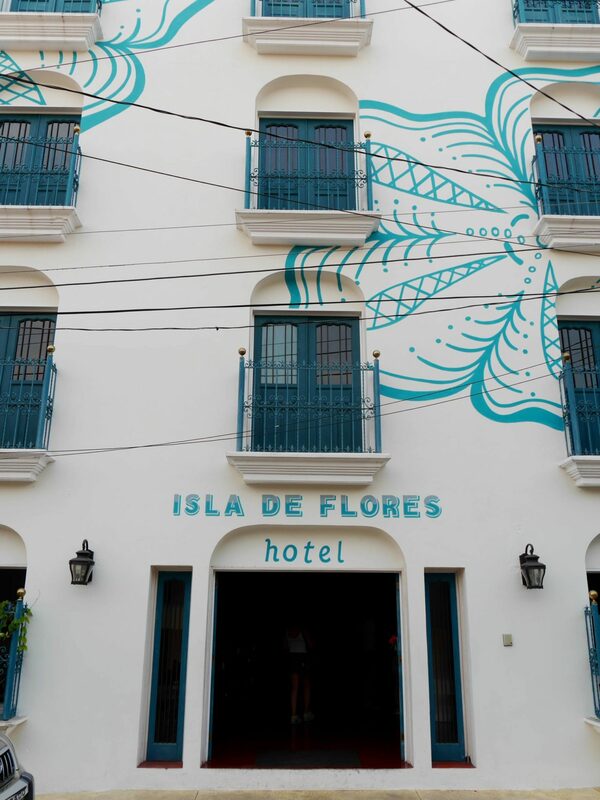 We stayed on Isla de Flores (simply translated to Island of Flowers), which is a popular base for travellers planning to visit the ancient Mayan ruins of Tikal. Isla de Flores is surrounded by water and home to plenty of friendly and low-key guest houses. 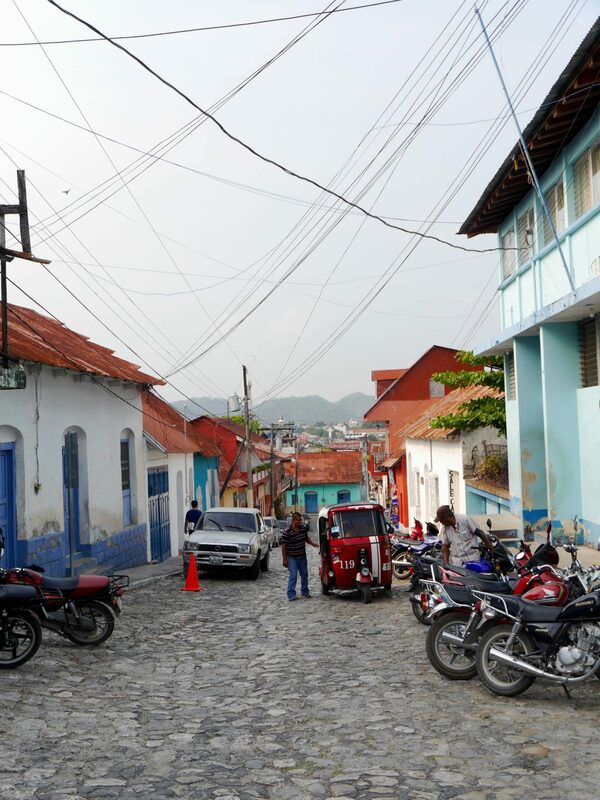 The coloured walls and cobbles are reminiscent of Antigua but much less well-known. Cocktail bars and restaurants line the waterfront, attracting locals and travellers alike. 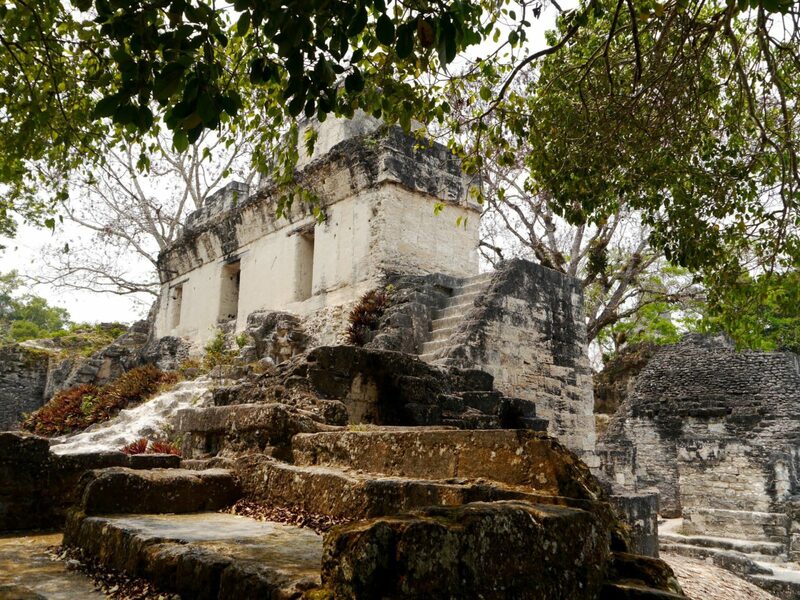 Tikal was once a powerful Mayan empire that dated back to 800 B.C. 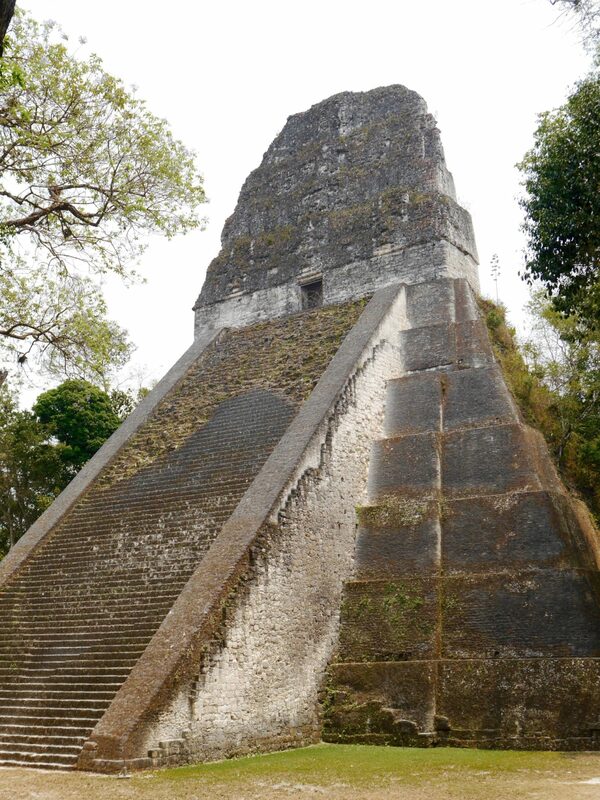 Today, Tikal is now a National Park and UNESCO World Heritage Site and consists of more than 4,000 Mayan ruins over 16km2 of Guatemalan jungle. 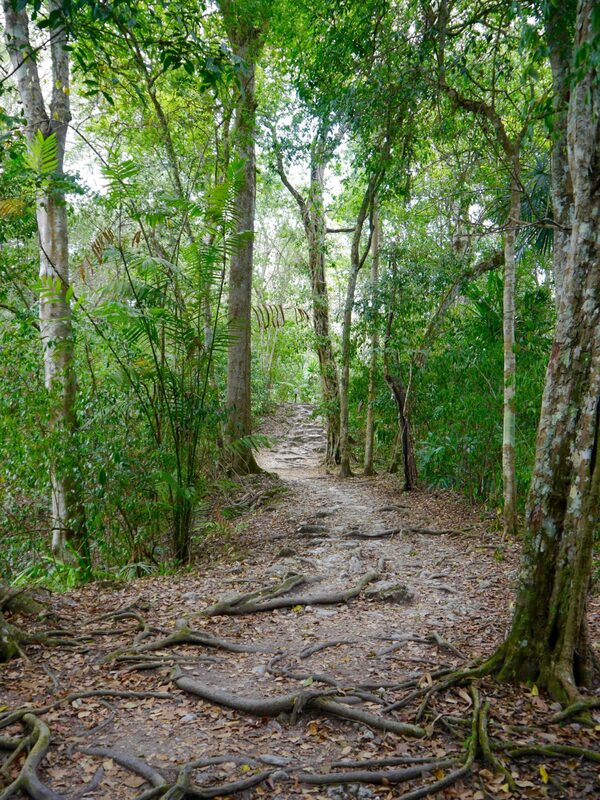 Also known as ‘the lost world’, Tikal was deserted and became lost in the vast jungle until it was rediscovered in 1877. There are 6 major temples which are all incredibly preserved, some of which you can even climb up. 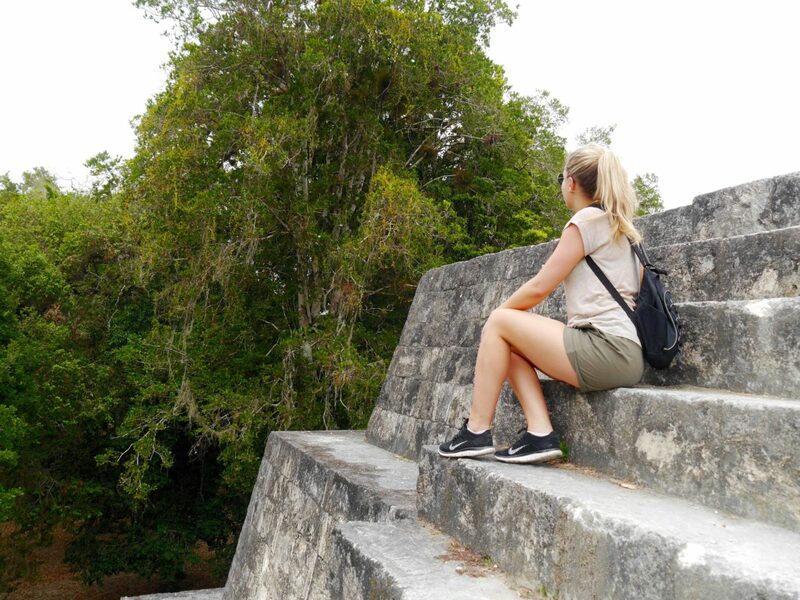 Being at Tikal feels like you’ve just stepped into the film set of Indiana Jones, and you may well see Lara Croft swing past on a jungle vine at any moment. For the rest of our time in Central America we crossed the border into Belize to spend 2 nights at Hopkins Beach. 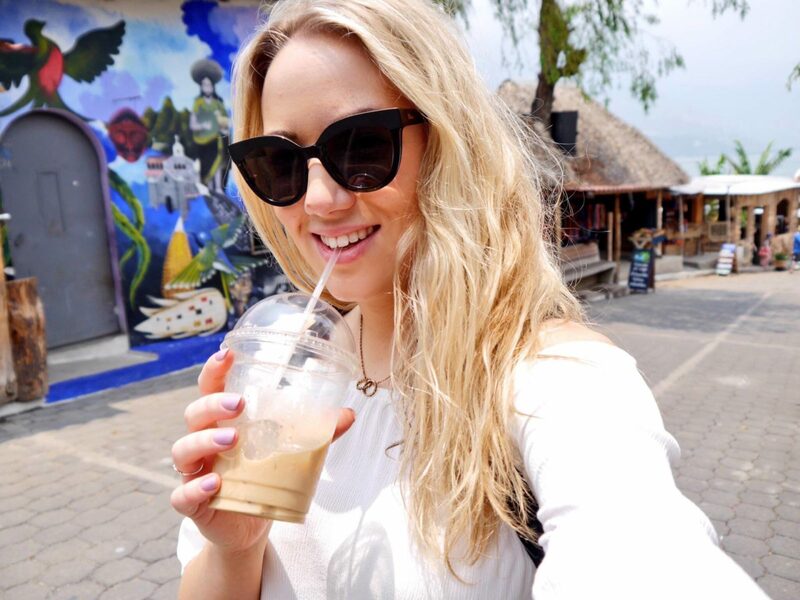 Look out for my Belize post coming soon! Exploring Guatemala was one of the most inspiring and intrepid travel experiences I have ever had. It’s a country of colour, culture and so much spirit and looking back on this post I can’t believe how much we squeezed in in just 4 days. 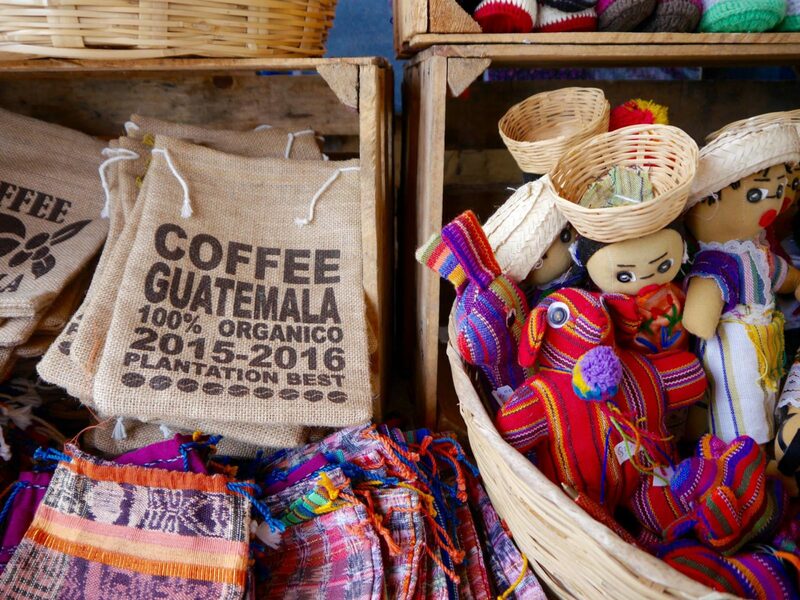 If you’re thinking of visiting Guatemala for your self, make sure all of the places above are on your list. 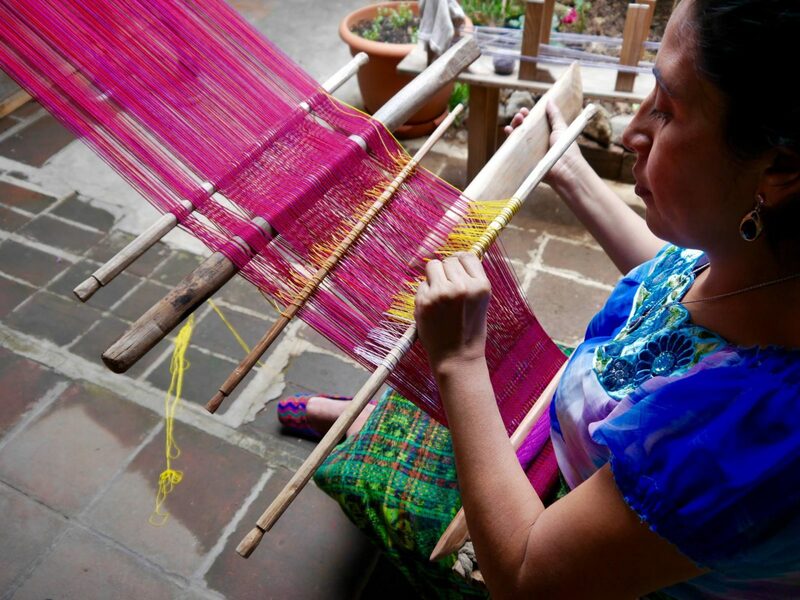 They are the absolute highlights of Guatemala, and each place is completely different to the next. 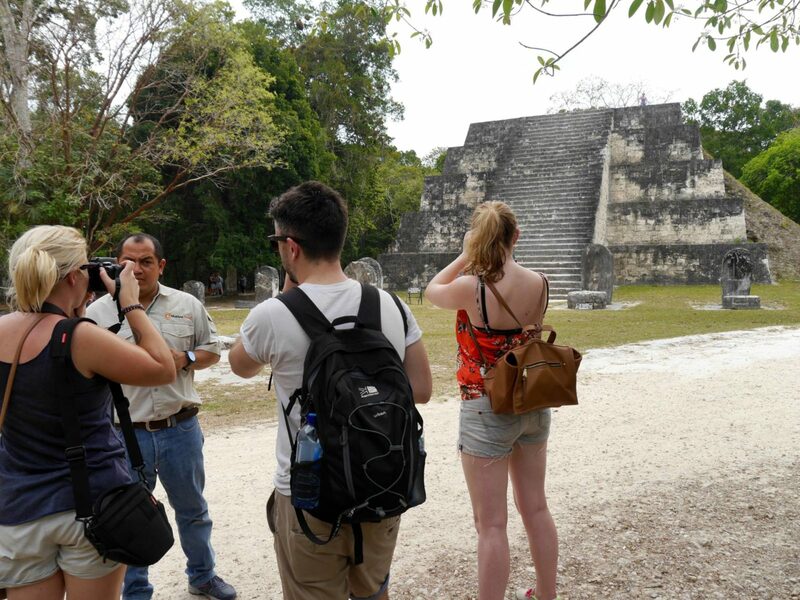 Disclaimer: My trip to Guatemala was provided complimentary as part of a blogger press trip with Visit Central America. All views are my own. I live in Guatemala and I believe is the best country of the world; the color of the houses, the happiness of the people, the sun, the nice weather, the different languages, our culture and our kindness it’s incomparable. 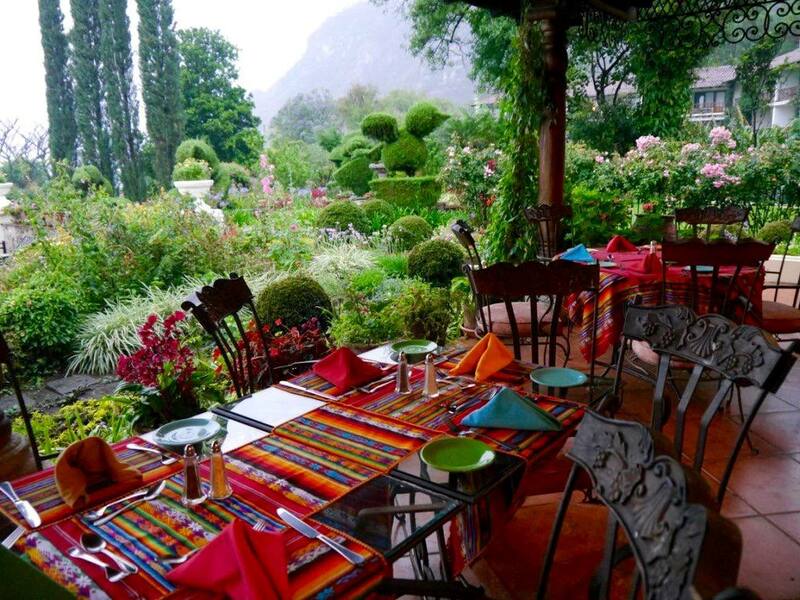 Tikal, Antigua Guatemala, Atitlan Lake, Flores Island and Guatemala City have a lot to offer. The beach of Puerto de San Jose is two hours away from Guatemala City, it is a nice place to visit, it is a place you can relax, enjoy the sound of the see and party. I cordially extend all of you and invitation to visit us. I am sure you will have an amazing experience. When you say “not the safest place”, what do you mean? Typical things to be aware of or what? My brothers are adopted from Guatemala and my family took many trips to Guatemala when I was younger! It seems like I never see blog posts about Guatemala and so I’m so excited that I found this one! I have been to all of these places! 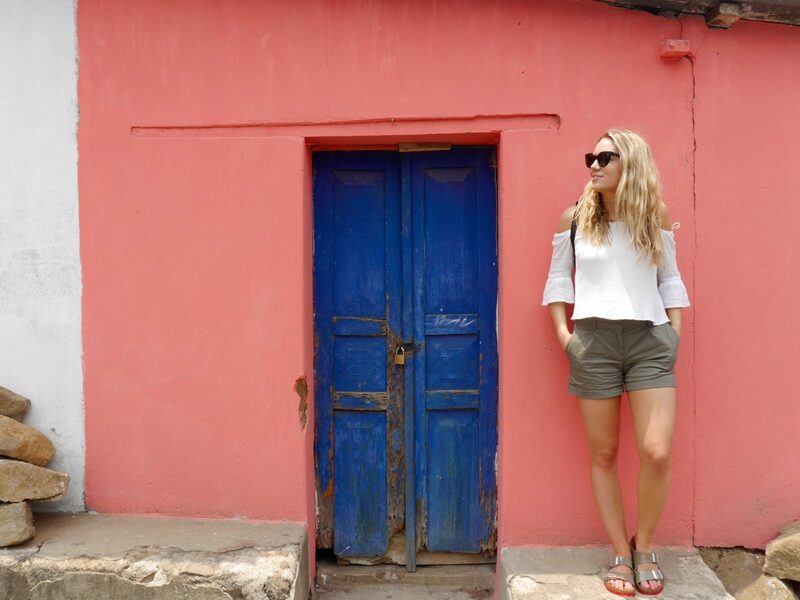 I think Antigua is my favorite because of all the colors and the markets, but they are all such different places that it is so hard to compare! Thank you for sharing your trip. We adopted our son from Guatemala. My son and I plan on doing a missions trip in 2 years and than spend several days seeing his birth country. Hello Jess, I never respond to blogs but I had to make an exception. Thank you very much for putting such a positive light on the great country of Guate. I was born not far from Pana and as most people looking for a better life, my parents brought us to the U.S when I was 8 yrs old. I must say all the beautiful photos that you posted bring back so many memories of when I used to play on the stone roads and buy snacks at the corner stores. Thank you very much for the post as it just made me realize I haven’t been back in 4 or 5 years and perhaps it’s time to take a vacation to visit my birth place. We as immigrants get too carried away trying to live the American Dream that we sometimes forget what brought us here in the first place. Thanks for the little reminder. As much fun as you had, it was too bad you couldn’t spend more time to visit the rest of the highlands (Huehuetenango, San Marcos, Quetzaltenango and Quiché) and the central-part of the country Jess (Alta y Baja Verapaz), there is a lot more to Guatemala than you could see. I only have to thank you for the kind words and fresh view you paint the world about the country I was born in, you’re most than welcome to return. I’ve had the great fortune to travel through most of Central America, South America, lived in Europe and attended school in parts of Southeast Asia, here’s my life lesson: In Asia, you fall in love with the food and humility. 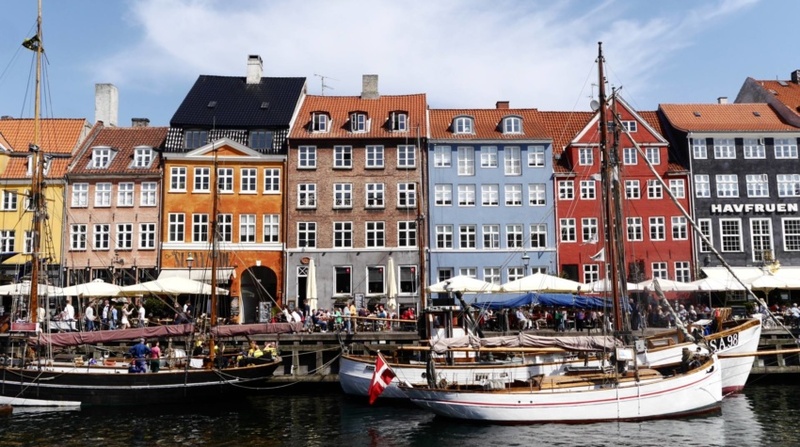 In Europe, you fall in love with the architecture and history. In Latin America you fall in love with the people — everyone seems to want to share what little they have — with a smile. Spent my first 11 years of life in Guatemala, now in the USA, but I’ve taken several trips to Pana, Antigua and Belize — it doesn’t get old. Your trip looks incredible! 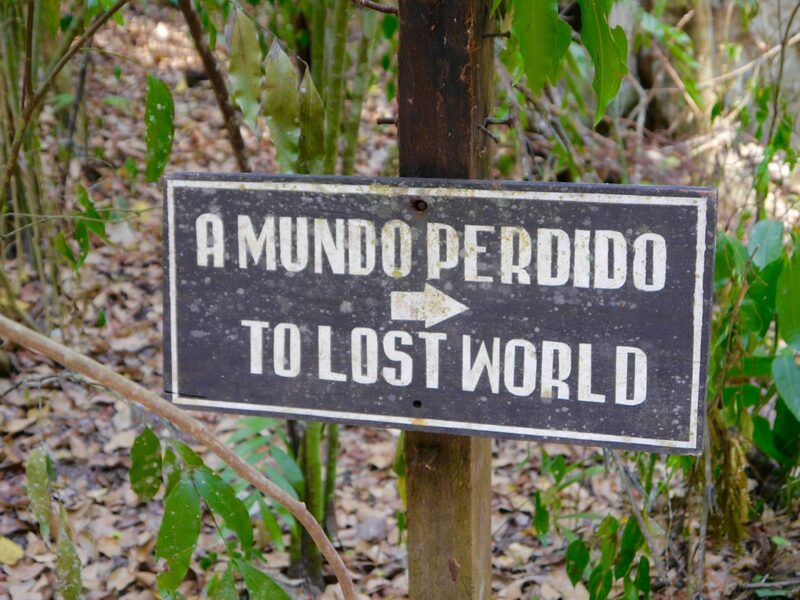 I’m heading to South America next year – a part of the world I have never been – and we were thinking of heading somewhere central for a week at the end of our trip. So I’m definitely book marking this! Thank you for such a good piece on my beautiful country. I lived there for 5 years. I am a Pana and Antigua lover. Loved Tikal also. I’d highly recommend Semuc-Champey if you return. I’m from Scotland and stayed in Antigua for a week back in Easter 2014 when it was Semana Santa. In the space of one week we watched the Semana Santa processions, had a guided tour of a coffee plantation, a mule ride, hiked up the Pacaya Volcano, spent a day at the spa, went zip lining, hired a local tour guide who took us to a textile market, a macadamia nut farm, a jade factory and museum, a wine brewer and a chocolate museum. Guatemala is a poor but stunningly beautiful country, rich in architecture and beautiful landscapes but more importantly full of very charming, vibrant and friendly people and lots of bright and bold colours. I think I left my heart there and hope one day to venture back. What a fascinating and colourful place to visit! Such a great post. I have always wanted to visit central America, now even more so. I went to Guatemala in March and did this exact itinerary in a slightly different order! I don’t know how you guys did this in 4 days – I did it in 8 and still didn’t feel like I had as much time as I’d have liked. I agree that Antigua was gorgeous, and we had time to hike up Pacaya volcano too which I would definitely recommend.